This Merit award has been established by Mr.Sambasiva Rao Pullela in memory of his son to foster a competitive spirit among students studying in schools under Macherla project located in Macherla village, Guntur District of Andhra Pradesh. This award considers all students equally irrespective of their individual financial strength, cast or religion. This endeavor sends a message among all students that every child is capable of achieving highest rank regardless of their school, gender, class, race, religion or disability. This award carries a cash prize of Rs.2500 every year which is given to students that score highest marks in 10th class in all schools under Macherla project. The first prize carries a cash award of Rs.1500 and the second prize Rs.1000. A certificate also presented to the winning students. Award is presented to the winners on 5th September every year. 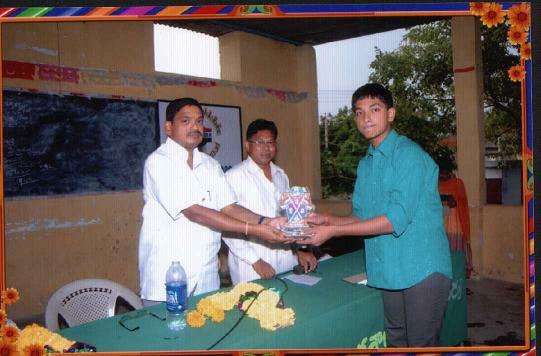 1st Prize winner 1: Chandra Sekar Kammani –Zilla Parishad Boys High school, Macherla - GPA 9.5 out of 10. 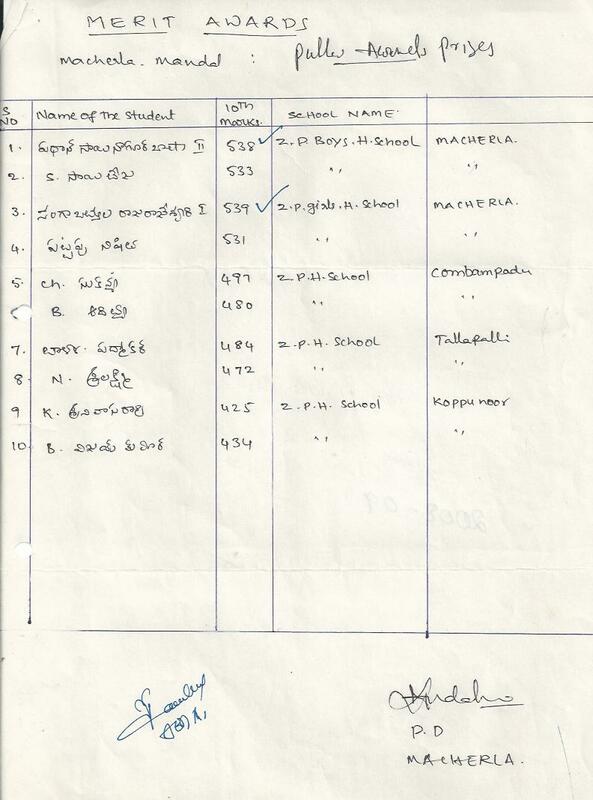 1st Prize winner 2: Lalitha Srisai sowmya Jyosula – Zilla Parishad Girls High School, Macherla - GPA 9.5 out of 10. 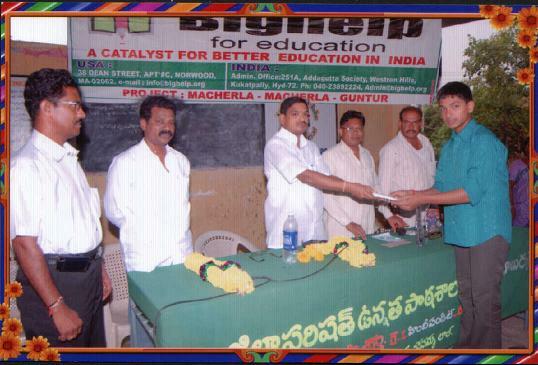 Awards were presented on 05th September 2014 by Bighelp project committee at Zilla Parishad Boys High School, Macherla. Two students got 1st rank during the academic year 2012-13. Award amount was distributed equally for both winners. Below is the list of winners. 1st Prize winner 1: Anuradha Pujala –Zilla Parishad Girls High school, Macherla - GPA 9.7 out of 10. 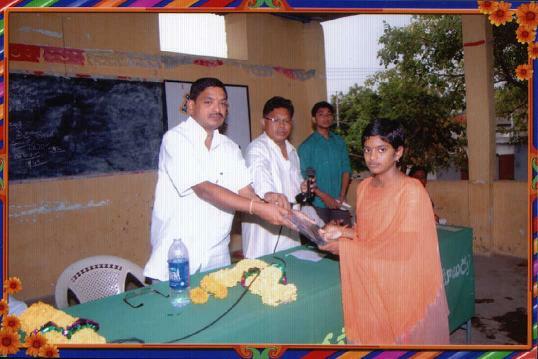 1st Prize winner 2: Sharmila Devi Karlapudi – Zilla Parishad Girls High School, Macherla - GPA 9.7 out of 10. 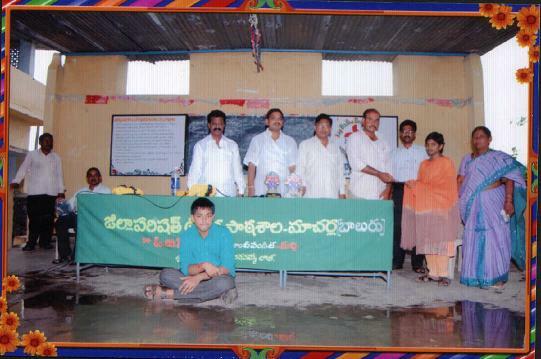 Awards were presented on 5th September 2013 by Bighelp project committee at Zilla Parishad Boys High School, Macherla. 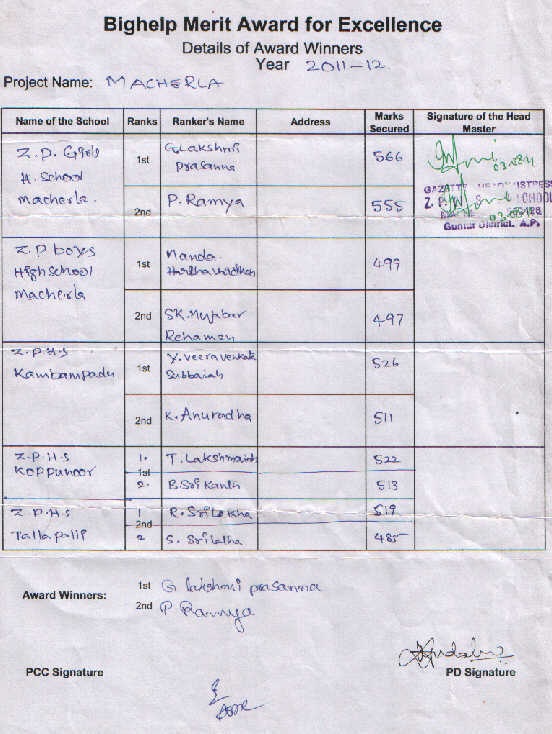 Three students got 1st rank during the academic year 2011-12. Award amount was distributed equally for the winners. Below is the list of winners. 1st Prize winner 1: Aruna Mandalapu - Zilla Parishad Girls High school, Macherla – GPA 9.7 out of 10. 1st Prize winner 2: Sonia Begum Shaik - Zilla Parishad Girls High School, Macherla – GPA 9.7 out of 10. 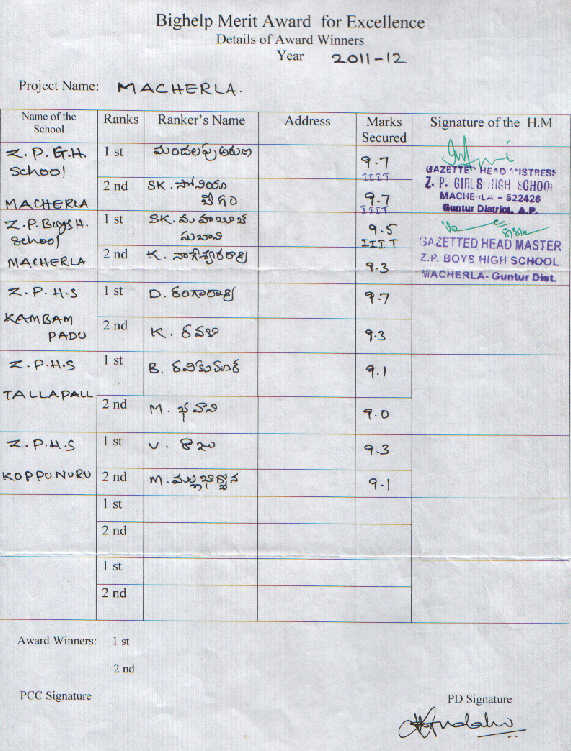 1st Prize winner 3: Rangarao - Zilla Parishad High School, Kambampadu – GPA 9.7 out of 10. 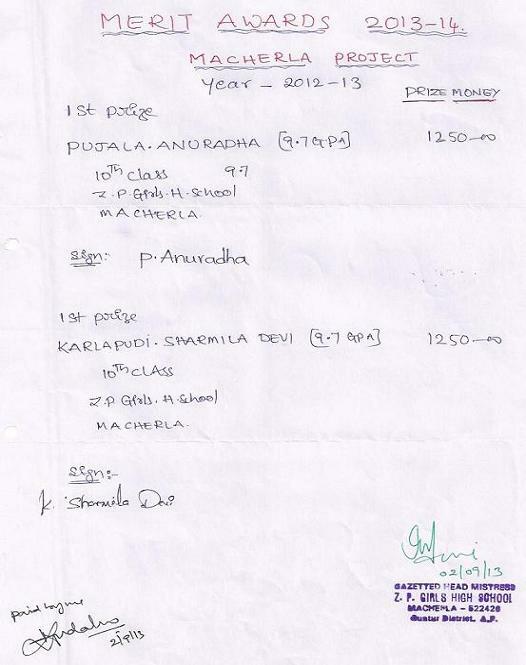 Awards were presented on 5th September 2012 by Bighelp project committee at Zilla Parishad Boys High School Macherla. 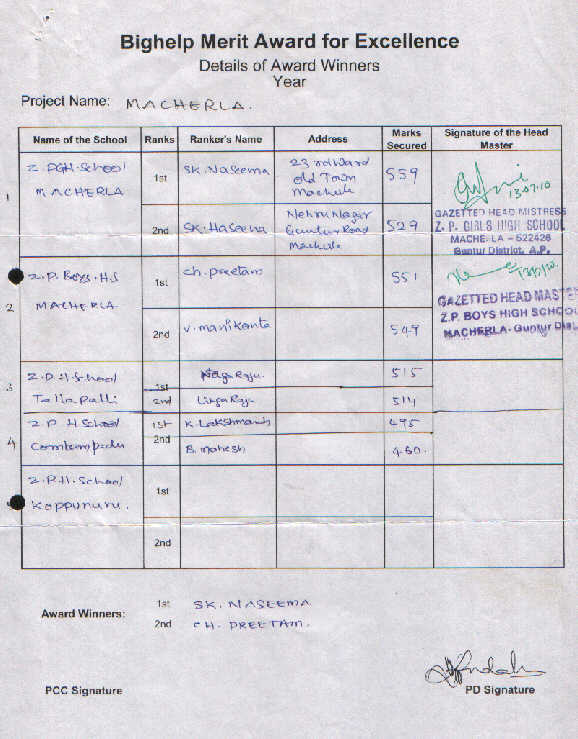 2nd Prize: Ramya – Zilla Parishad Girls High School, Macherla – 555 marks out of 600. 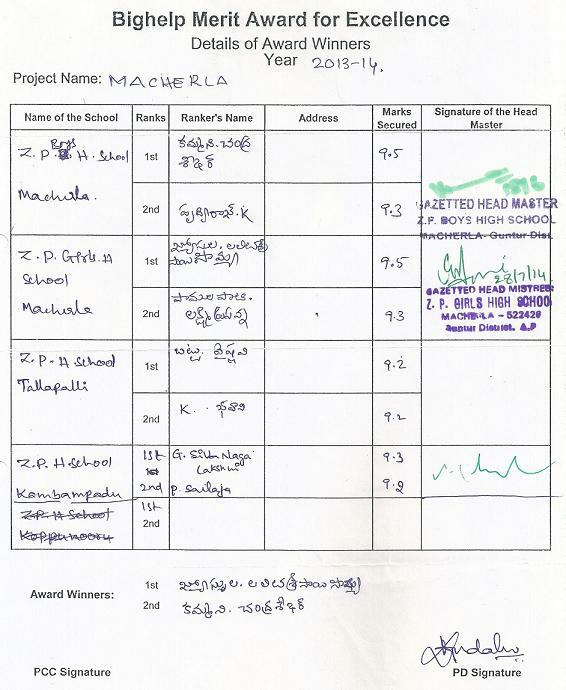 2nd Prize: Preetam– Zilla Parishad Boys High School, Macherla – 551 marks out of 600.